Since the mechanisation of the textile industry and the first factories in the 18th Century, manufacturing has undergone a number of game-changing revolutions. The 20th Century supplied moving assembly lines and mass production, quickly followed by the introduction of (dumb) robots, 3D printing, and computerisation in more recent years. The pace of development in manufacturing is ever-increasing, so much so that it’s argued we’re on the cusp of a fourth industrial revolution, otherwise known as ‘Industry 4.0’. The fourth industrial revolution is all about fusing traditional manufacturing practices and processes with advances in technology to make them safer, smarter, more efficient, or even solve problems businesses didn’t even know they had. For manufacturers who are feeling the pressure to keep competitive all while reducing costs, fully embracing such digital transformation is key. And of all the digital transformation trends driving Industry 4.0, IoT is top on the roster of disruptors. Equipping factories with the ability to run themselves means machine precision, less human error, and reduced risk of immediate danger to workers. Crucially, it would also enable a reduction of labor costs, giving a competitive edge. A product in communication with the assembly line could also request particular parts or services itself, reducing the risk of hitches and ensuring that the production process is run to completion as smoothly as possible. We can see this at work in Siemens’s Amberg factory in Germany. The facility is currently ‘75% on autopilot, with 1,150 employees mostly operating computers and monitoring the production process.’ The project is well on the way to helping German industrial manufacturing stay ahead of the curve. Blending the virtual with the physical might not at first sound useful in an environment as physically involved as a factory floor. But consider the possibilities—virtual guidelines that hover within sight range and can be emphasised or minimized at will would eliminate the need for thick, dusty tomes or even lengthy PDFs as manuals. Once implemented, this would not only streamline processes, but also ensure accuracy as employees carry out steps that they can easily verify. Combining this tech with error detection and maintenance alert solutions is a logical next-step—AR vision can both notify workers of issues with machinery, locate said issues, and provide suggestions or instructions for a fix. Human error is an inescapable fact of life—unless you’ve got a machine on the job. When it comes to products whose packaging or paint-job needs to be perfectly identical with its forerunners and followers, a machine is an obvious choice. But with so many variables, machines still need to be told what to do by humans—or do they? Harley-Davidson has embraced the idea of smart, reactive robots, gearing one of its US factories with enough IoT sensors and connectivity to ensure that the conditions for painting are not too hot, and not too humid, but just right. If the sensors detect even a slight change in the painting chamber, the system can adjust the nozzle’s output or positioning to compensate. Depending on where it occurs, a hitch in the manufacturing process can result in serious problems for a factory—at best, this could mean a slight delay or drop in product quality; at worst, the factory could be looking at an assembly line pile-up. Predictive maintenance is key here; and as such, equipment is being smartened up with sensors that can detect issues and feed data to maintenance workers, in order to solve problems before they cause disruption. Signs of a potential failure such as overheating can be spotted and alarms raised, so an operator can intervene before a problem crops up, preventing lost time and replacement costs, and even reducing risk. As times change and customer-centric models begin to take precedence, the Product-as-a-Service approach sees more and more success—and the manufacturing industry is no exception. IoT-driven communication along the supply chain means manufacturers can be in open dialogue with customers before, throughout, and after production. There are numerous benefits of this. The ability to pinpoint and stay aware of customer demand means processes can be adjusted to speed up, slow down, or shift according to desired output: this means customers can be kept happy and wastage of both resources and finished products can be kept to a minimum. Post-production data could inform manufacturers of how their products are being used, and also notify them of opportunities to offer upgrades to customers. The process of virtualising a physical piece of machinery or other asset is referred to as creating a digital twin. New not in its creation but its application, a twin grants operators the ability to constantly and thoroughly monitor a process via a digital interface. Rather than having to carry out daily or even hourly physical inspections of equipment with a torch in your teeth and a wrench in your hand, a maintenance worker can now monitor factory-floor machinery quickly and easily over a screen. 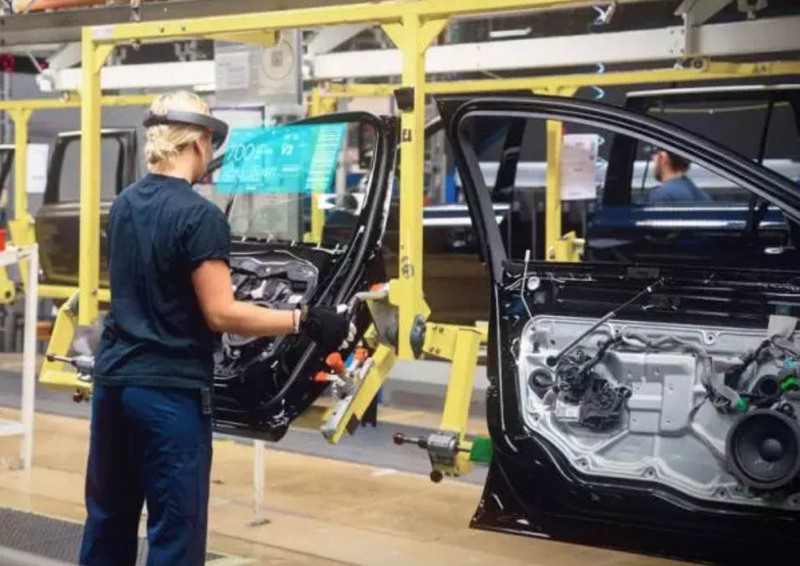 Remote operation is also possible for safety reasons; rather than enter a high-risk environment or dance with a particularly dangerous machine, workers can control assets from a safe distance via the digital twin. All in all, Industry 4.0 is rooted in the idea that the next step is not necessarily the development of groundbreaking new tech, but rather a consolidation and alignment of technology that currently exists in order to streamline processes, save on costs, and perhaps even save lives; all through devices talking to each other. And of course, at the centre of all this is connectivity. The beating heart of the revolution, connectivity is what makes ordinary equipment smart—and at Pangea, that’s one of the things we do best. If you’d like to see how our IoT capability can make your solutions tick in manufacturing and beyond, get in touch with us at contact@pangea-group.net.